In this final blog of the year, we would like to review some of the highlights of what has happened in the AD world, and the new directions that we will likely be heading into in 2011. This year Medivation’s Dimebon, which started life as a Russian antihistamine and showed some promise against Alzheimer’s, failed in its first late-stage clinical trial. Later in the year, Eli Lilly halted development of semagacestat after the compound actually worsened cognition in Alzheimer’s patients. Semagacestat targeted the enzyme gamma-secretase, and the media reported the finding as shaking confidence in the major hypothesis about what causes Alzheimer’s and how to treat it– the amyloid hypothesis. But the final word on the amyloid hypothesis will come from other anti-amyloid trial results in the next year, including BMS-708163, Bristol Myers Squibb’s potent gamma-secretase inhibitor being tested in ‘prodromal AD.’ At least two more drug companies are planning to launch such prodromal AD studies in 2011. The Nobel Prize winning neuroscientist Paul Greengard and his laboratory at The Rockefeller University published a paper in Nature describing the discovery of the “gamma-secretase activating protein” or GSAP. The paper showed that GSAP interacts with both the enzyme gamma-secretase and amyloid precursor protein (APP). From their results, they hypothesize that this protein is specific for this cleavage, and will not affect any of the other essential activities of gamma-secretase. Indeed, they show that addition of excessive GSAP or lack of GSAP had no effect on the cleavage of notch (a protein whose cleavage may have negative health effects) by gamma-secretase, but addition of GSAP tremendously increased the cleavage of APP by gamma-secretase to form amyloid-ß. Perhaps the most exciting finding of the paper is the discovery of the mechanism of action of imatinib, or Gleevec, an approved anti-cancer drug that previously had been observed to prevent amyloid-ß formation by an unknown mechanism. It turns out Gleevec blocks GSAP. Following the recent failure of Semagacestat that inhibited gamma secretase, and the ensuing round of questions that the failure spawned about the validity of the amyloid hypothesis, this is reassuring news. It gives clarity to some possible reasons why there have been such challenges with gamma-secretase inhibition. With the discovery of this new protein, it is suggested that we might be able to turn off the harmful activities of gamma-secretase while allowing its beneficial activities to continue. Avid Radiopharmaceuticals tested florbetapir (formerly 18F AV-45)and demonstrated 100 percent accuracy in detecting brain amyloid. It is expected that Avid’s amyloid PET Scan technology (now owned by Eli Lilly), will be FDA approved this coming year. A flurry of papers were published on Apolipoprotein E e4 (apoE4), the most important genetic risk factor for sporadic Alzheimer’s disease. As readers of this blog will recall, the apoE protein exists in three major forms (apoE2, E3, E4) and the risk for getting AD differs with each form, E4>E3>E2. ApoE4 binds directly to beta-amyloid and forms a complex. Work published this year showed that the binding of ApoE4 to beta-amyloid shifts the removal of beta-amyloid out of the brain from a rapid export pathway, to a very slow pathway, resulting in poor beta-amyloid clearance from brain, and hence, its accumulation. Furthermore, researchers showed that not only does ApoE4 lead to accumulation of beta-amyloid in the brain, but it also seems to be routing it to synapses where it leads to synapse dysfunction. The Alzheimer’s Disease Neuroimaging Initiative (ADNI) continues to provide us with greater, and more detailed information about AD. Papers were published demonstrating even greater accuracy in predicting conversion from normal cognition to MCI, and MCI to AD by looking at a combination of biomarkers including hippocampal atrophy on MRI, as well as spinal fluid proteins such as beta-amyloid and tau. For the first time in 25 years, there is a proposal to change the criteria for Alzheimer’s disease, part of a new movement to diagnose and, eventually, treat the disease earlier. 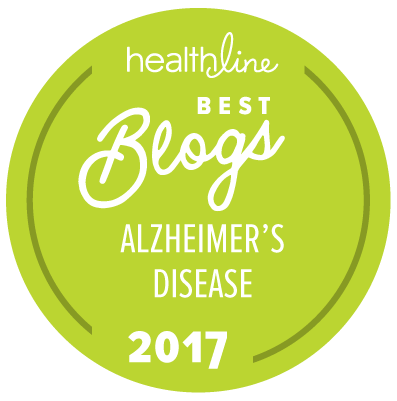 The new guidelines include criteria for three stages of the disease: preclinical disease, mild cognitive impairment due to Alzheimer’s disease and, lastly, Alzheimer’s dementia. Under the new guidelines, for the first time, diagnoses will aim to identify the disease as it is developing by using results from the biomarkers mentioned above. Beginning in January of 2011, Medicare will reimburse primary care physicians to perform “detection of cognitive impairment” evaluation at the Welcome to Medicare visit and subsequent annual visits. Finally, more clinical trials are planned in 2011, including the ADCS Resveretrol study, and numerous industry studies targeting beta-amyloid. We are optimistic that there will be great developments in the field of AD in 2011. Stay Tuned.